We Are Human / Kahoot! LEGO Education Maker: create with us! What is artificial intelligence and how is it impacting students and teachers in our schools? The Edtech Podcast LIVE in takeover with LEGO Education: what is hands on learning? Storytelling: the most important skillset you haven’t thought about yet? Ade has been involved with Debate Mate in various capacities since 2008; starting on the programme as a student before going on to represent the social enterprise as a mentor in the United Kingdom and also in Nigeria. He read Economics and Philosophy at the University of Nottingham, where he took a special interest in issues of Social Philosophy and starred in the ‘Kings and Queens of Speech’ Debate Mate documentary on Sky 1. Ade has joined the Debate Mate team this year as a Executive Programme Director for the Nottingham region, and is involved in the Accelerate programme and DebateBox programmes. Aga Gajownik - Founder of Innovation and Integration Ltd., trainer, coach and a public speaker, who connects with people of all ages and backgrounds, anywhere from school assembly halls to TEDx stages. In 2009, whilst completing her degree in Management with French, Aga was elected as a Students’ Union President, a post that fuelled her passion for social change and inspired her to help people. She began coaching in 2010, with a key focus on working with women entrepreneurs internationally. In 2014, she moved to Belo Horizonte, where she set up an acceleration programme for StartupBrasil and worked with SEBRAE (National Agency for Entrepreneurship Development), travelling to universities in remote areas of Brazil to inspire students and help professors to bring tech and entrepreneurship into their classrooms. While working, she completed a Management in a Virtual Environment Master’s degree in 2015. Aga is a creator of BASICS, I&I and SEE models designed to develop social entrepreneurs. Back in London, she is recognised as an industry expert with real business acumen and a strong commercial mind. She runs educational hackathons, coaches women and consults startup founders and established business. She specialises in developing teams and creating robust value propositions. Ahreum is a maker and designer, passionate about bridging the gap between design and science providing an inclusive space for all. As a multi-discliplinary designer and researcher she has lent her skills to various projects within the design and science community acting as principal designer, engineer, problem solver and researcher. She is the CEO and co-founder of Gutface, a food tech based start-up focusing on the growth of homegrown probiotics. Gutface has not only been recognised for awards but also granted funding by the notable Design Council. She has also worked as Design lead for Wisp, a leading fem-tech company developing a range of IoT wearables focusing on sensory stimulation for women to enhance female sexual well-being. She started her career working as a visual designer in advertising and as a package designer winning an ADDY and EMMY. Her design work has been featured in exhibitions and publications like The Guardian, Dezeen, Yanko Design, Amman Design Week and London Design Week just to name a few. She graduated from the Innovation Design Engineering course, a dual masters programme with the Royal College of Art and Imperial College. Her master degrees are in both design and science showcasing her proof of concept research for new and emerging technologies with a bias towards developing and comparing deskilled technologies. Currently, she works as The Invention Rooms Associate: Hacking and Making. The Invention Rooms is a unique space for innovation and the community in White City. Inside these rooms you can find workshops, design studios, and interactive spaces that have been designed to bring neighbours from the local community together with our academics, students, alumni and partners to build prototypes and share ideas. She strives to provide inclusive learning and making spaces for all. Alison has over 25 years of global experience in the education sector as a teacher, university lecturer and researcher, most of which has involved the design, development and evaluation of educational technology within school STEM education. This work has been in close collaboration with industry, government and schools and her most recent research concerns the scaling and sustainability of edtech – and the essential design principles for teachers’ associated professional learning. Andrew leads the Digital & New Products team at Cambridge Assessment English, working on applying digital technologies to language learning. He has worked there for the last 11 years, prior to which he worked in English Language Teaching as a teacher, teacher trainer and academic manager. He has a first degree in modern languages and an MBA. Anna Pedroza established Pedroza Communications in Brighton in 2011. Pedroza communications specialise in communicating with people in education – those who manage, teach and study at schools, colleges and universities. Anna believes that small is beautiful and this allows Pedroza Communications to be flexible and to react quickly to new trends. Anna has worked in the education sector for the past 10 years. Besides her sector knowledge and experience in marketing and communications, she offers an impressive network of media and education connections and an infectious enthusiasm. A specialist in digital communications, Anna has worked with internet and digital technologies for 20 years. 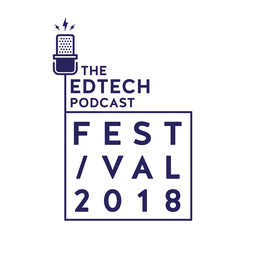 She relishes projects where technology can be used in new and exciting ways to support teaching and learning, and is a founding member of Digital Education Brighton. Anna has held various senior communications roles in the past, including Director of Marketing and Communications at the award-winning service Teachers TV, and Director of the Skills for Life Development Centre at the CfBT Education Trust. She is also a trustee of the Teacher Development Trust. The charity focuses on the important role that professional development can play in raising the quality of teaching and learning. Annie Duffield is Head of Marketing and Communications at the Institute of Imagination (iOi). The iOi is a charity creating space for imaginations to grow. They run events for children, families, schools and educators from their current home, the Imagination Lab in Lambeth, sparking imaginations through events, training, partnerships and research. The iOi champions child-led, playful and inter-disciplinary learning for children and adults alike. Annie has a background in arts, heritage and tourism marketing having managed consumer and learning programme marketing for some of London’s top attractions and destinations including the National Gallery, Museum of London and Royal Collection Trust. Artemis is the co-founder at Supplied Teacher, an online platform which connects supply teachers and tutors to end users in faster and less expensive ways. She is interested in product design, UI/UX and bringing the principles of simplicity to design for education websites. Benedict du Boulay is an Emeritus Professor of Artificial Intelligence in the School of Engineering and Informatics at the University of Sussex and Visiting Professor at University College London. Following a Bachelors degree in Physics at Imperial College London, he spent time both in industry and as a secondary school teacher before returning to university to complete his PhD in 1978 in the Department of Artificial Intelligence at the University of Edinburgh working on Logo. He has two main research areas. The first is the Psychology of Programming where his main work has been in the area of novices learning programming and the development of tools to assist that process. The second is the application of Artificial Intelligence in Education. Here he is particularly interested in issues around modelling and developing students’ metacognition and motivation. He has co-organised various workshops on the above areas. These have included the 1st and 2nd International Workshop on Affect, Meta-Affect, Data and Learning (AMADL 2015 in Madrid, and AMADL 2016 in Zagreb) and the workshop on “Les Contes du Mariage: Should AI stay married to Ed?”, also in Madrid in 2015. He has successfully supervised 25 PhD students in the above areas. He was President (2015-2017) and is currently Treasurer and Secretary of the International Society for Artificial Intelligence in Education and an Associate Editor of its International Journal of Artificial Intelligence in Education. He has edited/written 9 books and written some 190 papers in the areas indicated above. Beth is passionate about supporting a lead in the change, development and growth of positive tools and strategies that enable a stronger, more interoperable education experience. She believes in the need for a more networked education environment and is excited to be able to connect industry leaders in technology, global publishers, startups and governments to build robust and innovative solutions. With over 15 years and having worked in over 46 countries in the education industry from teaching through to management, education sales, curriculum writing, teacher training, publishing, Software sales and management, digital publishing, acquisition and integration, education standards and protocols and the development of education software and multiple startups, Beth is able to draw on her broad experience and extensive global network to systematically support the development of useful, intuitive education designs, products and solutions. Beth is dedicated to supporting the development of EdTech Startups and developing integrated solutions and concepts together with all levels of the education industry. Bruce has many years teaching and managing experience with schools in the UK and New Zealand. He is a presenter who is passionate about improving the quality of learning and teaching through the effective use of ICT. Bruce has expertise in delivering educational consultancy and training to Local Authorities, teachers and learners in schools across the UK, having worked at RM Education for nearly nine years end then as an Assistant Headteacher and Director of ICT in London. His current role with United Learning involves advising on technology vision and strategy across a large group of both academic and independent schools. I am an Assistant Headteacher working at New Wave Federation, that is a group of 3 primary schools in Hackney, London. I am also an Apple Distinguished Educator and Apple Education Trainer so I am fortunate enough to work with a community of like minded educators. I believe in engaging children in deeper learning experiences and using technology to transform learning in an innovative way. Cath Murray is features editor and head of digital. Cath spends her days balancing her roles as features editor for Schools Week and our sister publication FE Week, and heading up the digital side of things for both publications. She doesn’t mind the juggling act, as it’s a refreshing change from the many years she spent holed up in an office in Andalucia, translating and editing articles for science journals. Cath loves encouraging people who are passionate about what they do to get involved in the debate, and in her spare time devours books, blogs and research insatiably. Having lived abroad for over a decade, her special skill is to take on an entirely different personality whenever she speaks a foreign language. Cat Wildman is a mum of 2, founder of Gender Charter and a Director in Technology. Cat studied science throughout her education culminating in a degree in Physiological sciences. From there she went straight into Technology where she’s worked ever since. It wasn’t until she became an employer that Cat realised there was such a problem with gender equality, specifically in STEM, but it was when she became a mother that she realised that she had a personal responsibility to change things. Having set up and run Product Teams for Time Out, The Times and most recently at The Telegraph, creating digital products to solve customer problems is Cat’s specialist subject, so turning her hand to creating The Gender Equality Charter was the logical next step. Cat is a regular speaker at conferences and schools about Digital Product and the issues she is active in: women in STEM, and gender. Chesca is Strategic Partnerships Manager at CENTURY Tech, an artificially intelligent teaching and learning platform. She is a former secondary science teacher, trained on the Teach First program. Chesca has a first-class degree in Neuroscience with Industrial Experience from the University of Manchester and experience working on initial teacher training in New Zealand. She is interested in how researchers and educators across the world are trying new ways to improve learning outcomes. For Century Tech, as a Curriculum Lead, Chesca developed high quality science courses for primary and secondary learners. She also delivers teacher training and in-class sessions to develop best practice use of technology in the classroom. Now as Strategic Partnerships Manager Chesca builds collaborations with organisations and works on projects to expand CENTURY's impact. Chloe Holmes is the Learning and Progress Manager at WhiteHat, working to use principles of cognitive science to develop a pioneering approach to applied learning, and build an outstanding alternative to university through apprenticeships. Prior to this, she led on the development of vocational/technical programmes for the Ark academy network. She completed the Teach First programme and was Deputy Head of English at Ark Globe Academy. Christina is passionate about providing learners from all walks of life with broader access to quality education through technology and international collaboration. She was the investment manager at Navitas Ventures, the corporate venture arm of Navitas, a leading global education company that serves 80,000 students across 30+ countries. She was also working in the group strategy and corporate development function for Navitas. Prior to pursuing her passion in education, Christina had four years' strategy and operation consulting experience across multiple industries in Australia and Asia. Christina has recently moved to the UK and is currently pursuing a MBA from University of Oxford. Cillian is originally from Dublin, Ireland. He studied English and History in UCD and went on to do an MSc at Edinburgh University in 2014. Upon leaving Edinburgh, Cillian cried for a few weeks due to being back in Dublin (it’s not so bad really), but soon picked himself up and left for London! Working with the meditation app Headspace for two years gave Cillian great experience and allowed him to deep-dive into meditation and explore mindfulness, which has really helped him stay grounded in a city like London! Cillian is also passionate about piano and has been playing music for many years. This interest in music, sound and mindfulness inevitably drew him towards now>press>play who use rich and colourful immersive soundscapes, narrative and imagination to engage children in learning. He has worked with them for just over 1 year and their altruistic values overlap with his own in a significant way. Cillian is also obsessed with bouldering. Head on over to the now>press>play stand and have a chat about what they do, or you can just talk to Cillian about climbing! Cleo is the Operations Commander at Rocket Fund, which is part of the innovation foundation Nesta. Rocket Fund is a crowdfunding platform for schools, on a mission to enhance learning for all by enabling all students to access the latest technology and finding out what works. It does this by modernising school fundraising and gathering user reviews. Cleo previously worked at BESA, the British Educational Suppliers Association, developing its external communications and negotiating PR benefits for BESA members. Prior to that, Cleo worked in communications in a small child rights charity before joining the higher education sector with Universities UK International. In another life she was a human rights journalist, including for IPS News press agency. Cleo has a Master's in Gender & International Development from the University of Warwick. You can find her on Twitter @CleoFatoo. Dan Frost is Learning Technology Lead within the Digital and New Product Development team at Cambridge Assessment English where he works on R&D with teams across Cambridge English with the aim to bring in new technologies into English language learning. Darren spent nearly 10 years teaching secondary maths, along with a little Physical Education and ICT, before he joined OCR in 2014 as a subject specialist where he worked on the redevelopment of A Level Mathematics. Darren currently works full time for Cambridge Mathematics, initially mapping learning trajectories for the 'statistics' strand of the Cambridge Mathematics Framework. He writes about maths teaching and assessment and co-authored the 2018 Cambridge University Press upcoming pedagogy book for teachers “Teaching Statistics”. Dawn is a Learning consultant for LGfL, helping schools maximise the benefits of online technologies to advance approaches to both teaching and learning. Prior to joining LGfL Dawn spent 21 years in Junior schools as a ICT and Computing co coordinator and most recently as a Deputy Head. Within these roles Dawn also worked with both NQTs and trainee teachers developing and supporting their use of technology across the curriculum. Dawn is a firm believer that digital tools can both engage and enhance the curriculum for all learners, and has worked and consulted with a number of companies and authorities as well as sharing her expertise at conferences across the country. Dawn is also a Secondary school governor. Debbie joined School 21 in 2015 as Director of Partnerships. Her role is to manage the school’s external network, with a particular focus on building partnerships with organisations that are interested in offering authentic, problem-solving experiences for students, and with teachers that want to learn from School 21’s pedagogy. Previously Debbie worked as a Psychology Teacher at Alexandra Park School in North London, and then Director of Programmes for Future First, an educational charity harnessing the power of alumni networks in state schools to end educational disadvantage. In her free time, Debbie likes to do yoga, watch football, and spend time with her cat, Clover. I do stuff in edu & edtech to make money. Long ago did other things in other lands. Evelina is Head of Research Strategy at Cambridge Assessment English. She has worked in English language education for over 25 years and especially enjoys working with teachers and exploring the integration of digital technologies in assessment and learning, and empowering teachers with competencies to be successful practitioners in the age of digital learning. She received her Master’s and Doctorate degrees from Columbia University, USA. Ellie’s problem solving nature and passion for customer service inspired her to start her edtech business. Nesla provides a simple tech resource that will help ‘English as a second language’ schools meet the needs of both their staff and their students. Ellie has experience within many roles in ESL learning, from activities to residential, teaching to administration. Her experiences living in both Spain and Malta has reinforced her belief that there is a need for Nesla tech. The software she is creating will streamline communication in a way that encourages engagement and autonomy for a more nurturing immersive language learning experience. Emma Vandore is CoFounder of StoryUp, a content-focussed communications agency. She has 15-years journalism experience and is the author of a number of reports on East London’s startup scene including Tech in the London Cambridge Stansted Corridor (LSCC, 2014), A Tale of Tech City (Centre for London, 2011), Here Be Startups (Environment & Planning A, 2014), and Spatial Imaginaries and Tech Cities: Place-branding East London’s digital economy (Journal of Economic Geography, 2018). She has an MSc in Urban Planning and is a graduate of the Faber Academy. She teaches creative writing and corporate storytelling. Euan is the co-founder of WhiteHat, a tech startup matching young people to the best career-focused apprenticeships on offer at some of the UK's most exciting companies, from Google and Facebook, to BP and Warner Bros. By delivering training in partnership with world-class content providers, and through a combination of 1:1 coaching and cutting-edge tech, WhiteHat is creating an outstanding alternative to university via apprenticeships. Fran began reporting on education for the Birmingham Post and Mail in 1988, and went on to be Education Correspondent of the Sunday Times, the Sunday Correspondent, the Sunday Telegraph and the Independent. She later worked as Westminster Correspondent of the Independent. For the past 15 years she has been part of the reporting team on BBC Radio 4’s File on 4 programme as well as writing articles on education for The Guardian and a range of other publications. Her five published books include two on education: Seven Kings, published by Atlantic Books in 2006, and Learning to Fail, published by Routledge in 2010. Fran is now Chief Executive for The Education Media Centre, a charity run by journalists and dedicated to 'making evidence make news.' They aim to help build a stronger, more evidence-based education system by ensuring good research has a high profile in the media. Hege Tollerud is the CEO of Oslo Edtech Cluster - a business network supporting development, commercialisation and export of Norwegian learning technologies. Norwegian edtech is growing fast and is enjoying a good reputation internationally. Through joining forces and pulling together it works to help making Norwegian and Nordic edtech among the best and most competitive in the world. Ian is responsible for the education agenda within the Coventry University Group. This includes the creation of Coventry University Online, the Disruptive Media Learning Lab and the Students’ Union amongst other things. In 2016 he was awarded “Inspiring Leader” of the year in the Guardian Higher Education Awards. Ian led the development of Coventry University College which now has sites in Coventry, Scarborough and East London. A Coventry graduate, he is a member of the jobs and skills group of the Coventry and Warwickshire Local Enterprise Partnership. He is a board member of several Multi Academy Trusts, chairs the National Council for Entrepreneurship in Education and is a Justice of the Peace in Coventry and Warwickshire. Itay is one of the Co Founders of proprep. proprep™ is an innovative solution crafted by people passionate about education. proprep™ has developed a technology that enables it to create online STEM customized video courses and study guides according to specific needs of university students and institutions of higher education. Prior to co founding proprep™ Itay served as CEO and CFO of TASE and LSE listed companies and several high tech companies. Education: M.A. Law Bar Ilan University, MSc. Finance & Accounting, BA Economics & Accounting – Tel Aviv University. Certified Public Accountant (CPA). James Bowen is the Director of NAHT Edge, a teaching union for middle leaders. Prior to joining NAHT, James was the Headteacher of a large junior school in Hampshire. He has held a range of senior and middle leadership positions in schools including SENCo and maths leader. James is heavily involved in developing NAHT’s assessment policy and writes regularly for TES on this and other subjects. Jamie Brooker is a creative entrepreneur based in London, UK. He earned his reputation as a creative leader using design thinking and empirical research to inform product development. As a Founding Partner at We Are Human he creates purpose driven organisations striving for sustainable social and commercial impact. We Are Human’s most successful venture to date is Kahoot!, one of the world’s fastest growing learning brands with over 70 million unique monthly active users in 200+ countries. Jamie was Co-Founder and Chief Creative Officer. Under his product leadership Kahoot! grew from a research project to a company that captured over half of US K-12 classrooms, as well as millions of business and social users. Jamie was responsible for Kahoot!’s product teams, developing and executing strategies designed to grow the user base organically, deepen engagement, create pedagogical impact and validate revenue opportunities. He left day-to-day operations in the spring 2017. As a Venture Partner at Emerge Education, Jamie advises, mentors and invests in some of Europe’s top education startups. He is a Council Member at Apps For Good providing strategic guidance, expertise, access to networks, and support to the overall mission of the charity. Jan Matern is the Co-Founder and CEO of Emerge Venture Lab which creates sector-specific acceleration programmes for startups that address social and environmental problems at a systems level. Its flagship programme, Emerge Education, helps grow outstanding edtech startups through a network of leading investors, industry-specific mentors and educational institutions. It's run in partnership with Eton College and Oxford University's Said Business School. As CEO, Jan is responsible for strategy, investor relations, startup selection, and people. Jan co-founded the Lab during his final year at Oxford University, where he graduated with a 1st class degree in Philosophy, Politics and Economics. He was previously an Associate at Chelwood Capital, a social investment consultancy, where he worked with scalable social ventures seeking to access capital markets. Jess is a final year medical student at Newcastle University with keen interests in Medical Education. She leads the undergraduate team for Medisense medical education, helping to change the way medical students learn through exciting resources like the MoslerCast podcast series. She leads a team of over one hundred volunteers to develop creative learning tools for students & doctors. Jess Staufenberg is a senior reporter. Jess trained as a reporter in Brighton before heading to Norfolk as a business journalist for the Eastern Daily Press. After training across the paper and local station MustardTV, she returned to London and wrote about education for Al Jazeera, Times Educational Supplement, the Daily Telegraph before taking a permanent role at The Independent and then eventually leaving for Schools Week. Data gleaned from freedom of information requests and investigations are her bag, but she also loves a good profile interview. Outside of the newsroom, she surfs in Devon, hikes and spends a lot of time in the pub. Her special skill is swearing in German. Jess is a post-doctoral researcher in the Department of Physics and Centre for Plastic Electronics at Imperial College London, creating circularly polarised organic light emitting diodes. Jess won the Institute of Physics (IOP) Early Career Communicator Prize (2015), “I’m a Scientist, Get Me Out of Here!” (2015) and the IOP Jocelyn Bell Burnell Award (2016). Jess recently won the Institute of Materials, Minerals and Mining (IOM3) Robert Perrin Medal (2017) and the Imperial College Julia Higgins Prize (2017). Throughout her career in research she has been involved in projects to support gender inclusion in science. At Imperial, she established the Imperial College London Women in Physics group, and nationally sits on the Women in Science and Engineering (WISE) young women’s board. Jess works closely with the Institute of Physics to try and support teachers and students across the country. Jodie Lopez is a self-confessed geek and proud of it. Her career started in sales and customer service, and she left this to become a Primary teacher. She is now a freelance consultant and founder of lovEdtech. Jodie speaks at conferences for schools about using technology on a shoestring. Jodie is passionate about ensuring that every penny spent on tech in schools is both fit for purpose and keeps teachers coming back for more! Julian Hall is an award winning serial entrepreneur who started his first business at 18 yrs old. With 20 years experience of technology in banking and startups, Julian is an international speaker, media commentator, best selling author and educator also known as The Ultrapreneur. He is also the founder of Ultra Education, a company which teaches entrepreneurship in primary and secondary schools and clubs around the country. Dr Junaid Mubeen is a research mathematician turned educator, working at the nexus of education, innovation and technology. As Director of Education at Whizz Education, Junaid oversees the educational strategy and development of the Maths-Whizz virtual tutoring service, which has delivered personalised learning to over half a million students worldwide. Junaid has a PhD in mathematics from Oxford and a Master's in Education from Harvard. He writes and speaks on a range of EdTech topics. Kate is a passionate maker and tinkerer and is always looking to inspire new makers whether that be students or the general public. She has worked in Ireland and the UK as a teacher in both primary and secondary education before moving into informal learning environments. She joined the Science Museum learning team in 2010 working on developing activities and delivering science shows. She then joined the Royal Institution to help make the Christmas Lectures in 2014 which were on the topic of making and tinkering. She stayed on at the Royal Institution to set up and run the Royal Institution Outreach Programme. A passionate science communicator she has also created content for national publications such as the Telegraph and the Guardian. She also does science presenting, creating content for Blue Peter and presenting on the Impossible Engineering Series 3 TV show which aired this summer. In 2017 she joined Imperial College London to set up and manage the Reach Out Makerspace. The Makerspace is a dedicated cross-discipline manufacturing and design space which runs a series of making projects for secondary school students, particularly focused on engaging students who would benefit from a non-traditional learning environment. Katy has worked for Islington Council since 1999, developing digital education services to schools and families. Before this she was a primary school teacher for 7 years. Katy specialises in Online Safety and sits on the LGFL Safeguarding and Editorial Board, has been an ICT Mark assessor and facilitated the NCSL Strategic Leadership ICT courses. Katy sits on the UK Safer Internet Centre Advisory Board. She is a BETT Awards Judge and spearheaded the introduction of “Kids Judge Bett” event. She has supported educational projects in Romania, Nigeria, China, Portugal and Japan and every year acts as a guide for the Educational World Forum. Katy also helps run the TeachMeet event at the SEN (Special Educational Needs) TES show each year at Islington Design Centre. Appointed to lead the Shireland Technology Primary School, set up by founder school Shireland Collegiate Academy and part of the Collegiate Academy Trust in Smethwick, that opens in September 2019, Kirsty is also leading the on the implementation of the Education Vision across the four Technology Primary Schools being currently built across the West Midlands. Kirsty draws on 24 years of teaching and leadership experience in both Primary and Secondary schools and believes that harnessing technology for learning can enable, engage, enthuse and lead to effective, sustained school improvement. She is also the West Midlands Regional Lead for #WomenEd, with whom she shares their values and believes that more women leaders should use technology to support their roles. She was also Project Director for an Education Endowment Foundation Project; @MathsFlip; the largest, independent evaluation in the UK on Flipped Learning in 24 Primary Schools across the West Midlands and led Shireland’s Teaching School Alliance and Initial Teacher Training Programme for four years. Kirsty is currently working with the DfE advising on how technology can reduce workload and regularly presents around the UK and internationally on the role of technology in education, blended learning and flipped learning. She was recently named in the 2018 EdTech50 list of influential people and projects in UK EdTech world. Koby Yogaretnam has extensive experience in successful project delivery at Accenture, JP Morgan, Citigroup, Lehman Brothers, Bank of America Merrill Lynch and other investment banks. He attended the famed Accenture St. Charles core consulting school in Chicago in 2007. A business consultant with start-up funding, investment & business growth experience. He has a strong innovative background with an excellent understanding of commercial and business issues and developed a successful north American business incubator. A trusted hand in digital economy business innovation, Kriss coordinates the EDUCATE Business Programme alongside project management for Ufi Trust's VocTech Seed innovation grant recipients. At Innovate UK, Kriss led the Learning Technologies programme bringing innovative EdTech solutions to market and delivered IC tomorrow, the flagship cross-sector programme that funded over 130 digital SMEs to develop and trial prototype technologies with blue-chip corporate partners. Laura McInerney is the editor of Schools Week. Previously a teacher, she studied for an MA in Positive Psychology before becoming a Fulbright Scholar in the US. She was then taken to the court by the Department for Education for asking a question (true story) and went onto become a Guardian columnist and to edit Schools Week. Laura will be MC-ing, talking and judging the pitches.